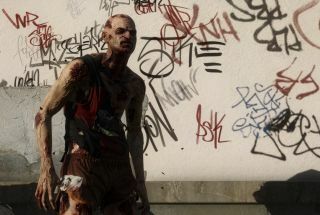 Techland would like it to be known that Dying Light—that handsome game about killing zombies with electric pipes—is quite popular. 3.2 million people have played in the 45 days since launch, making it Techland's most successful game by that metric. Chris L enjoyed it to the tune of 70 in our review. To celebrate the news, the folks at Techland have released one of those stat sheets that visualises big numbers in quirky ways, but it unfortunately fails to answer the big question I had, which was "If you used every boxed copy of Dying Light to build a big box, how many Taj Mahals could you fit inside it?" We'll have to make do with these instead.